There was a time when things seemed they were going to happen. This applies to almost everything, in this case the subject is Brazilian garage rock. 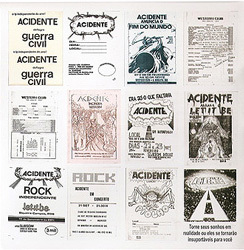 Acidente, "that band that nobody knows but everyone have heard of", was founded in 1978 in Rio by journalism students and came some prominence in the underground musical scene of Rio de Janeiro, but later, as they launched their independent albums, has been meticulously disinvented by the media, along with many other bands in the same situation, so that half a dozen or twenty minions could occupy exclusively all available space and therefore, without competitors, enjoy all the fame and fortune that brief affair between the Brazilian audience and rock had to offer. There were two bands with the same name Acidente, both different in time and style, with nothing in common except the name and the producer / keyboardist. The second Acidente, created in 1989, had a proposal of being primarily instrumental, with progressive influences, and its work is well documented on CD, such as the fusion that followed from 2003, with old and new members keeping alive the flame through sporadic releases. 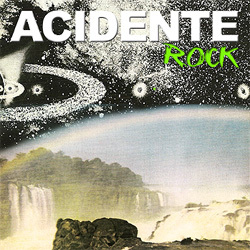 However, the original Acidente, the first and only "Old ACA", remained restricted to old vinyls - until now, when it's celebrated 30 years of the group's first LP, "Guerra Civil". rock operas (which were never made public) under the name Leviathan. 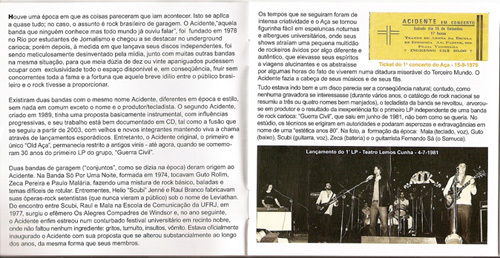 The meeting of Scubi with Raul and Mala in the Communication School at UFRJ, in 1977, arose the ephemeral The Merry Compadres of Windsor and in the following year, Acidente finally debuted in a troubled university festival in noble grounds, where there were all the ingredients: cries, turmoil, insults, vomiting. The Acidente was officially launched, with its proposal, which has changed substantially over the years, just like its members. The times that followed were of intense creativity and Aça became an easy presence in university hostels and night rookeries, where his concerts attracted a small crowd of rockers eager for something different and authentic, to raise their spirits into hallucinating trips and abstracted them for some hours of the fact that they live a miserable Third World dictatorship. Acidente used to make the mind of his musicians and also of his fans. Everything was going well and a record seemed to be a natural consequence, however as no label was interested (for several years, the national catalog of rock came down to three or four well known names), the band's keyboardist pissed off and decided to produce. 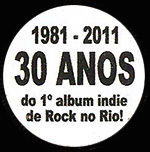 The result of inexperience was the first LP of an independent rock band from Rio de Janeiro: "Guerra Civil", which came out in June 1981. 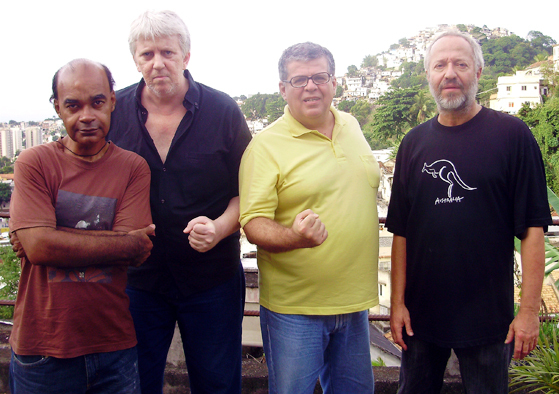 In the photo below, the lineup of the time: Mala (keyboards, vocals), Guto (Bass), Scubi (guitar, vocals), Zeca (drums) and guitarist Fernando Sá (Samuca), who left the band shortly after to start his own group. Because then the public's demand for Brazilian rock was becoming unstoppable for the meager investments that were made by major labels of the music industry, and new bands began to appear by the dozens every day. With their album in hands, the members of Acidente invested with the extra function of publishers discovered the truth: the doors of media, both printed and electronic, were closed to the independents. Almost every second or millimeter was priceless, and all were already allotted (we wouldn't pay anyway ...). 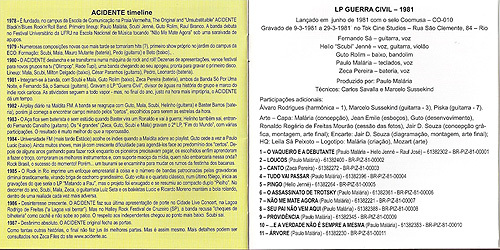 "Guerra Civil" faced an almost complete ignorance in the public square was burned in protest, until a program ("Poeira e Country") of large audience by a Rio radio (98 FM) became fascinated by the band song "The Cowboy and the Debutant" and began to play it every day, including placing it several times in the 1st place. This was the summer of 1981 to 1982. Immediatly thereafter, arose online in its experimental phase, Fluminense FM, "A Maldita" and played the album in its radio programming several tracks incessantly. By the time of Carnival "a Maldita" (the Damned) was the great novelty among the young rockers of Rio and Acidente had its chance of gold. Like something had to have gone terribly wrong (or you wouldn't now be reading the liner notes of a modest independent album), at that very moment, while hundreds of neophytes popped up, ACA was disbanded and so it was for months. To paraphrase a candidate for governor at that time, the horse has passed saddled only once and Acidente did not rode it. In this new Land of Rock, Acidente was restructured and returned to stages with a modified line up but to find a time even harder for independents. The Brazilian pop-rock had become a very profitable business for some few feudal lords. 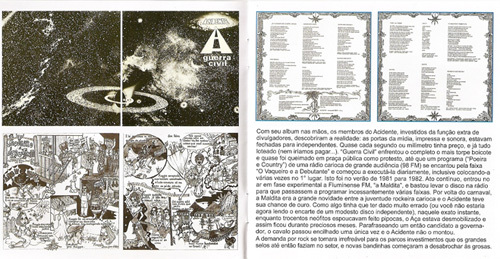 When in mid-1983 the band re-entered the studio to record its 2nd vinyl, "Fim do Mundo" (End of the World) (which would be called "Armed Struggle") and ended up inadvertently as eponym of another group), the lineup was already the usual basic Mala, Zeca, Guto, Scubi. The effect was as expected: a stone thrown into a dry lake. Now, even those who gave rise to indie had already entered the big dance. Do what? Life goes on. 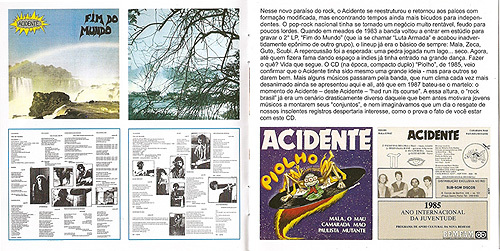 The CD (at the time, a single with four songs) "Piolho", of 1985, confirmed that Acidente had really been a great idea - but for others to get along. A few more musicians passed through the band, which in a climate of growing discouragement still made some gigs here and there, until that in 1987 the hammer was hit: the time of the Acidente - that Acidente - "had run its course". 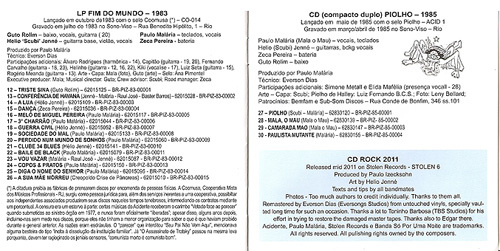 At that point, the "Brazilian Rock" was already a landscape dramatically different from the one that motivated young musicians to form their bands, and no one could imagine that one day the rescue of those insolent recordings would awaken interest, as is evidenced by the fact you are with this CD in hands.